One must wonder if further water park enhancements or slides are planned for the future. To be honest, that article was the first mention of "Sunlite Adventure" I have heard. 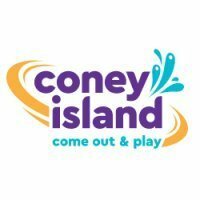 I have been down at Coney nearly two dozen times this year and have heard no mention of that, and the Coney website makes no mention of it either. I love the potential for Coney. I honestly think, even despite Kings Island being a major competitor, that Coney could be more on the map. I love the location, first of all (although historically it's not the best) and I love the old-time feel to it. It's like a permanent state fair. Sunlite "Adventure" could definitely use some new water slides - or, maybe, more pools or a lazy river? It's been Sunlight Pool for a long time. Even if they add a lot of slides, no one is going to think it's just a pool. Word from under the Black Hat is that they hired a marketing/PR agency. This is the kind of garbage they feed you. If any of you end up owning an amusement park... don't do that. A bit late to this topic. The arcade/midway area has been re-arranged, with several games removed - Bowler Roller, Poster Dart, and Balloon Dart if memory serves - and others taking their place. Notably, the number of Skee Ball machines has been halved, but they are now more visible (facing the restrooms/Scrambler in the middle of the midway). Presumably this was due to the poor reliability that the machines experienced last season. Many complaints were voiced about missing balls, undispensed tickets, and eaten tokens. But hopefully that is all better now. Additionally, there's a large inflatable ride/game in the middle of the arcade game section (the covered area where picnic tables are/were). I'm not entirely sure how it works but it seems to involve jumping over an inflatable arm and not falling. I'm not sure what the official name for it is, but the games trailer known by some as "The Pit" now features a second Duck Pond game, as I was told. The original one in the midway was a HUGE hit with younger kids, so I hope that this other location succeeds as well.